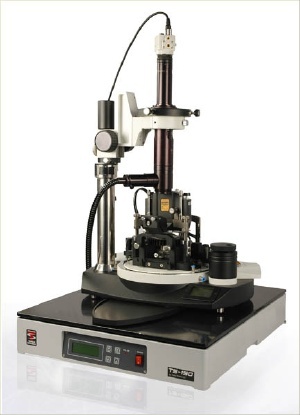 NTEGRA Prima is a multifunctional device for performing the most typical tasks in the field of Scanning Probe Microscopy. 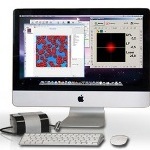 There are several scanning types implemented in NTEGRA Prima: scanning by the sample, scanning by the probe and dual-scanning. 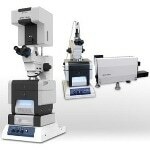 On account of that, the system is ideal for investigating small samples with ultra-high resolution (atomic-molecular level) as well as for big samples and scanning range up to 100x100x10 µm. 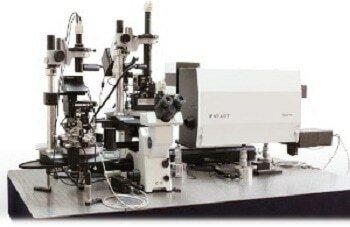 The unique DualScan TM mode allows investigating even bigger fields on the surface (200x200 µm for X, Y and 22 µm for Z) that can be useful, for example, for living cells and MEMS components. 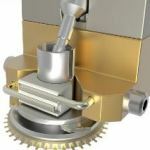 Built-in three axes closed loop control sensors trace the real displacement of the scanner and compensate unavoidable imperfections of piezoceramics as non-linearity, creep and hysteresis. The sensors, which are used by NT-MDT, have the lowest noise level, thus allowing working with closed loop control on the very small fields (down to 10x10 nm). 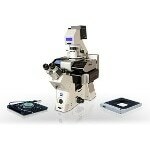 This is especially valuable for carrying out nanomanipulation and lithography modes. 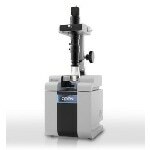 NTEGRA Prima has a built-in optical system with 1 µm resolution, which allows imaging the scanning process in real-time. * E.g. 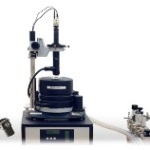 the unique method of Atomic-Force Acoustic Microscopy (AFAM) allows investigating soft and hard samples with carrying out quantitative measurements of Young modulus in every scanning point. AFAM allows obtaining much better contrast as compared to Phase Imaging Mode for the soft objects, and makes possible the obtainment of contrast on the hard samples, what is a very hard task when one uses other methods.